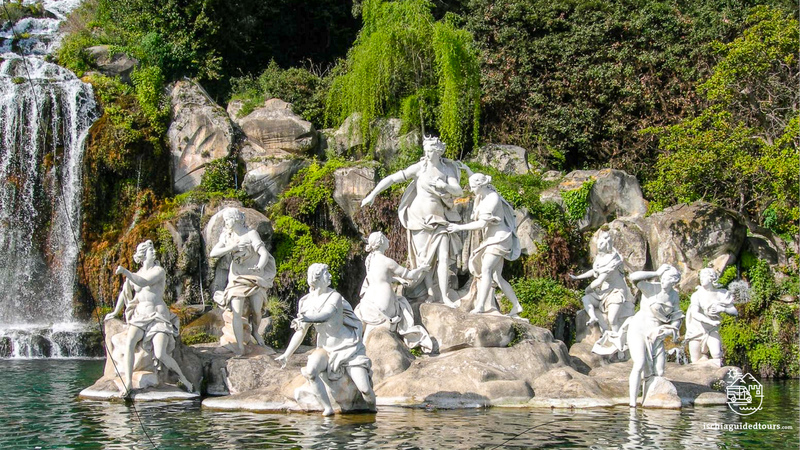 The city of Caserta is located 35 kilometers north of Naples in the heart of a fertile plain crossed by the river Volturno, a region known since the ancient Roman times as “Campania Felix” for its fertility. The name of the city is mainly connected to the majestic Reggia di Caserta (Caserta Royal Palace), an impressive royal residence that the king of Naples, Charles of Bourbon, had built in the mid 1700s. 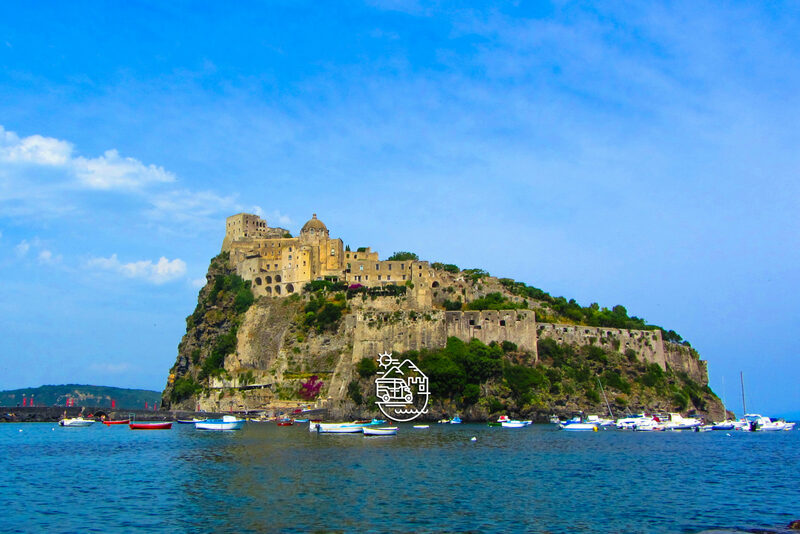 The king, as soon as he came to power, decided to start the ambitious project of building an impressive new royal residence more inland than the others in Naples (as they were located by the sea and, hence, harder to defend and more prone to be attacked by raiders and enemies). Furthermore, King Charles wanted to create a royal palace that would surpass in beauty the palace of Versailles in France and the palace of Schönbrun in Austria, as a sign, to the most powerful dynasties in Europe, of the prestige of the Bourbon monarchy. 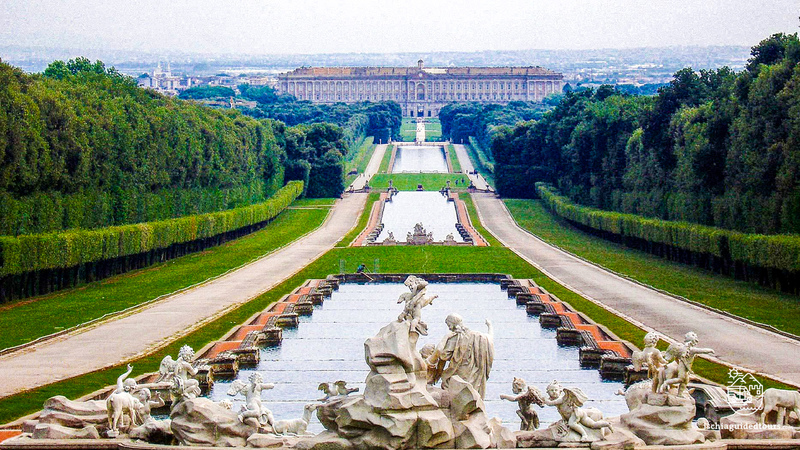 The result is the magnificent Caserta Royal Palace, the largest royal palace in the world, a stunning work of architecture in Baroque style, a residence of 47,000 square meters with more than 1200 rooms, surrounded by breathtaking gardens and park. Designed and started in 1752 by one of the most important Baroque architects of the XVIII century, Luigi Vanvitelli, the palace took around 100 years to be completed, under a succession of new kings and architects, but maintaining the same aim of creating a marvellous and beautiful work of art. 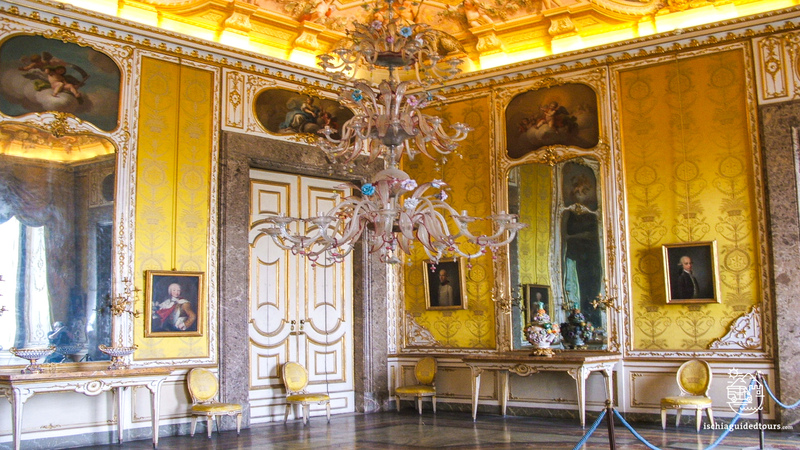 As soon as you enter the palace, the lavishness and the richness of the marble, the frescoes, the precious objects, the paintings, the statues, the porcelains, the brocades and the furniture are awe-inspiring. 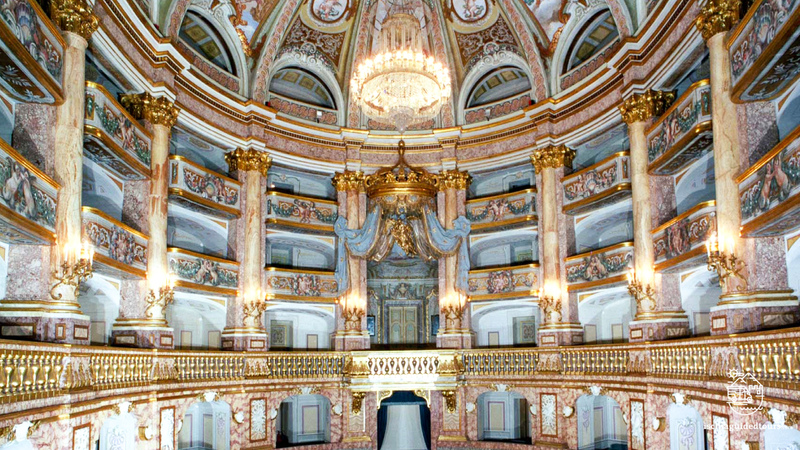 From the royal apartments and boudoirs to the monumental rooms, the Throne Room, the library that contains more than 14,000 books, the Cappella Palatina (the private royal chapel) or the royal theater, it’s all a sparkling vision of pomp and richness, in the typical Baroque, Rococò and Neoclassical style. Outside, the palace is surrounded by incredible gardens and park, which have the most wonderful fountains, waterfalls, water features and statues, as well as a vast array of beautiful plants and flowers, personally chosen by the queen (it is said that the flower of camellia was imported from China to Europe and planted here for the first time). An incredible work of engineering, developed by the architect Vanvitelli, enabled the fountains to be supplied with water through an impressive aqueduct that collected water from mountain springs, 40 kilometres away. The Caserta Royal Palace is a Unesco world heritage site and it now represents the center of the modern city of Caserta. But in the past, the ancient center was a settlement located on top of a hill, 14 kilometres away from the palace. The name of the area was “Casa Hirta” (from where the name Caserta originates) which in Latin means “steep house”. This village is now called Casertavecchia (old Caserta) to distinguish it from the new city of Caserta that developed around the royal palace in the XVIII century. The pretty medieval village of Casertavecchia, located 400 mts above sea level, is one of the quaintest in Italy with its narrow alleys paved with cobblestones, houses cut out of rocks and a beautiful church dedicated to San Michele Arcangelo, built in the XII century, representing one of the finest examples of Romanesque architecture in Campania.